This closure fits containers requiring a 58/400 top. F217 liner. COMMENTS: Perfect match for the 2 ounce black container. "Nice lids but scratch easily "
COMMENTS: I use these along with the 2oz heavy wall jars for powered clay masks. These lids look nice but scratch easily. I put stickers on top, so it works just fine for my purpose. Will buy again. "Thank you for including a liner"
COMMENTS: Nice solid lid finishes off my product to make it look classy. The liner is great to avoid leaks and just makes the inside of the lid not look cheap. Will buy more! COMMENTS: Lids close up tight, haven't had any trouble with leaking. I like the ridges- makes it easy to grip and open. COMMENTS: Great lids. They look nice on the jars and I've never had any issues with leaking. "nice simple design - great fit"
COMMENTS: very nice simple desing, nice liner. fits great on the clear jars I bought. COMMENTS: These lids are great for packaging. The smooth finish adds a professional look. COMMENTS: I love that I can buy a few at a time to try them out before I buy in bulk. "58/400 black straight top cap w/ liner"
COMMENTS: The quality of these lids is perfect for what I needed. COMMENTS: These lids work well for use with my body butter jars. They fit well and look good! COMMENTS: Love these, like the simple white liner...great quality! TY WSP! COMMENTS: these lids fit tight on the container I bought them for. They do not leak. Which this is a huge deal for when you are traveling to markets and such. COMMENTS: Perfect lids, love the liner in them - professional looking and great quality. COMMENTS: Love these caps. They are nice and sleek. That look very professional and they do not leak. So happy they are lined. Will be getting more. COMMENTS: Exactly what I needed. Pairs great with the clear jars. "Work like a charm "
COMMENTS: Exactly what I need and a good price. Have ordered many times!! COMMENTS: The liner is not a sealer so please dont think so. I like how professional it looks. "Looks nice on a clear jar"
COMMENTS: Black caps look very nice and come with a liner so that works well for my lotions. COMMENTS: These arrived and were not all scratched up which would definitely show on the black. They really make my labels pop and the jars look classy. COMMENTS: These lids look great but they do leave finger prints. I also find that I have to use an additional sealing disc and then put on the lid. The one inside is not enough to prevent spillage. "Love the sleek black top"
COMMENTS: Makes products stand out. The black top is sleek and looks great. Gave 4 stars instead of 5 only because several of the lids (they come packaged in a plastic bag) were scratched and marked to the point I couldn't use them. They were just too dinged up to put on my products to sell. Otherwise I love the lids. COMMENTS: I use these with the 4oz clear basic jar for my sugar scrubs. A very professional look, no problems at all with leakage. COMMENTS: I love these shiny black tops. They make my product look high end. COMMENTS: These help keep jars from leaking. COMMENTS: Fits perfectly with the jar. Makes the product look fantastic. "Perfect lids for the 4 oz. jars"
COMMENTS: These black lids fit perfectly and serve their purpose. COMMENTS: Our customers loved this sleek cover along with the amber containers. Thank you! COMMENTS: These caps serve their purpose. COMMENTS: This one is much more professional looking than the ribbed one! Highly recommended. "Gives A "Pop" To Jars"
COMMENTS: Classy, black shiny twist off lids. Lends a professional look. Will buy again. COMMENTS: I love these lids. They give the product a much more sleeker look than the rounded ones. COMMENTS: Does its job as a jar cap. COMMENTS: Liked these a lot with the blue jars. Sleek look. Fit well. COMMENTS: Nice, professional looking cap. Easy to use it. COMMENTS: I love the look of the smooth lids. The liner is a big plus as it helps the content to remain in the jar if there is ever a leakage. COMMENTS: I like this smooth lid because there are no ridges for the product to get stuck in. Easy to wipe off. COMMENTS: I am going to re-order them! Good quality and price. COMMENTS: Great Product for butters and scrubs. COMMENTS: Many of the caps arrive scratched or with dings in them. To me this makes them unusable. I will be switching out my jar lid type soon to something that doesn't show imperfections as easily. COMMENTS: I bought these by accident the first time and I'm very glad that I did. They are elegant looking especially on the amber jars we use for lotion. They are easily opened by customers and they hold tightly when transported. (We take our products all over the country so we need caps that hold tightly when placed in boxes for transport). Our customers often comment about the elegant look of our products and I know these caps have something to do with it. COMMENTS: These lids look great on the sturdy 2 oz jars. I use them for shower favors, scrubs, samples. They are shiny and nice-looking, and come with a liner so you can use them for scrubs and oily products, and it won't leak out. Great lids, good price!! COMMENTS: I use these for all jars! The smooth texture is amazing! The only downside is that some of them get scuffed but that's usually covered by a label. COMMENTS: This top fit the jars perfectly and the black color lends a nice professional and sleek look to the product. The tops are not overly bulky so they do not take away from the product. "Great for body butter and sugar scrub sampler set"
COMMENTS: The best caps for jars that I use for my sugar scrubs and body butters. I have been using them for years. Ships well too. COMMENTS: These shiny black lids are simple and nothing fancy but they look really good with the clear bases. Nice snug fit. COMMENTS: I use these on amber jars, and they are very sharp looking! COMMENTS: Great top cap....free shipping and a good price!!! COMMENTS: Perfect for the Amber jars I am using. COMMENTS: These black lids add an elegant touch to the appearance of my packaged lotion and scrub. COMMENTS: I use these with both my 2oz and 4oz containers which carry a variety of products! They work wonderful, and I've never had a problem with them. COMMENTS: These lids fit the 58/400 containers well and look nice. COMMENTS: They fit great, no leaks and look good too. What more can you ask for in a lid? Will buy more. "Works well with oval jars "
"Very nice looking packaging for lotions"
COMMENTS: I purchased this lid for the 4 oz. amber plastic jar to package my lotions. I love the classy look of it. It is easy to open, secure and I think it will be a hit with my customers. The 4 oz jar size is perfect for my needs. Thanks WSP for offering these great products! COMMENTS: After purchasing different caps, I decided to stay with WSP's straight caps. The quality is great and they look perfect with the clear low profile jars. Highly recommended. COMMENTS: They look fantastic and very professional! COMMENTS: Wonderful product, great customer service, fast delivery! 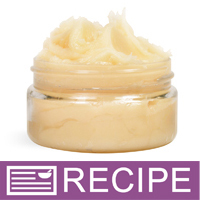 "Perfect for our 8 oz jars"
COMMENTS: We love this lid for our 8 ounce jars that we buy, the price is right and the material is perfect for our scrubs and body butters. 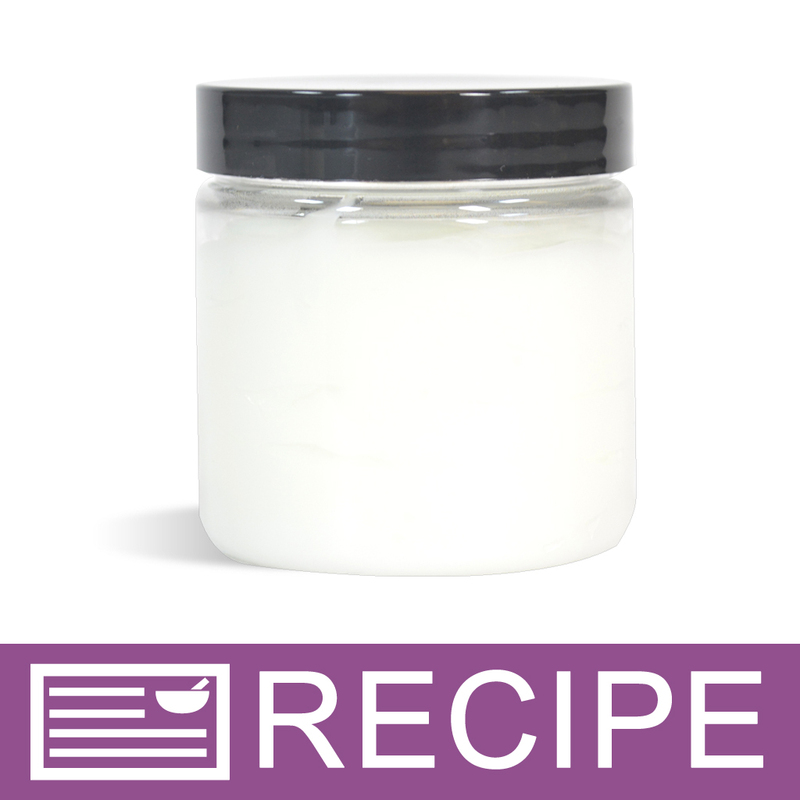 "I order these in different size jars and tops"
COMMENTS: Very professional and as someone said - a nice clean look. The bonus is that they are stackable. Also an excellent seal which is critical. COMMENTS: I love the way these lids look on the jars....Very professional! COMMENTS: I use this top with a clear four ounce jar. I love how this contrasts with my product for a more professional look. I also like the strong seal it provides. I carry scrubs and shaving creams to an outdoor market and have yet to have these leak product out in transit! COMMENTS: these lids are great if you want to put a label on the top. COMMENTS: I use these on the cobalt blue 4 oz jars, nice and sleek. I also like these because jars are easy to stack for display. COMMENTS: These tops stack great with the heavy PET jars. I've never looked back. They look great in an organza bag with a box. Beautiful presentation, no leaks or damaged arrivals in over 2yrs. Perfectly compliment a table for a trade show and gift boxes. COMMENTS: Perfect addition to any jar! "great price for a great product"
COMMENTS: I'm in love with these smooth black tops. Like another reviewer said, they give products a contemporary and clean look and feel, that you just won't get with the ribbed tops. The price is also excellent! COMMENTS: Fits well, Looks Great. Contemporary finish to my products! COMMENTS: This is the perfect fitting lid for my jars of whipped cream soap and whipped body butter! COMMENTS: These tops are the most professional ones at a reasonable price! They look much nicer than the ribbed ones, in my opinion. They are sleek and shiny and make my amber jars look really upscale. They come with a foam liner. When these are out if stock, I'll always wait for them to be restocked instead of buying a cheaper alternative! The price is not wallet breaking like the metal caps are. COMMENTS: Great product. Will buy again, in fact, I am buying again right now. We used these tops for the blue jars and made olive oil lotion. Came out beautifully, and the jars/tops were well made and complimented our product. Very happy! COMMENTS: These lids absolutely make the packaging for my skincare products. I make natural skincare products but I did not want the packaging to look natural/organic. These lids are perfect. I love them and I don't buy them from anywhere else. • Makes the packaging look great. "58/400 Black Straight Top Cap"
COMMENTS: Lid fits well and is nice looking. "Do these black caps fit the 4 and 8 oz. Clear Powell OVAL plastic jars 70/400?" Staff Answer No, these will not fit 70/400 jars. The 58/400 caps will only fit jars that are 58/400. That number represents the opening of the bottle/jar, so it will fit if the numbers match. When looking at a particular bottle or jar, click on the 'Related Items' tab and that will list all the items, including caps, that will fit that specific bottle or jar.